Expert physical, occupational, and speech therapy for kids 0-18. 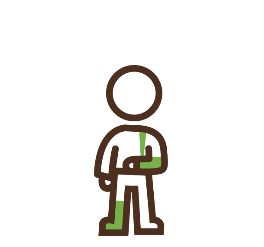 We apply constraint induced techniques to encourage kiddos to use their involved side by constraining the strong side, promoting physical and mental development. Our specialized therapists will work with you and your child to determine if this service will improve your child’s health and development. We provide home health services for children 0-3 years old, as an established provider for the North Carolina Department of Health and Human Services Infant Toddler Program. These services include physical, occupational, and speech therapy for children who have a developmental delay or have been diagnosed with a health condition that will likely cause a developmental delay. Applied Behavior Analysis (ABA) is an evidence- based science that is used to increase socially significant behaviors and decrease challenging behaviors and barriers to learning. Early intervention is key to maximizing gains using ABA therapy. We currently offer ABA services at our Hickory and Lincolnton clinics, but are hoping to soon offer the service at all Compleat KiDZ locations. Our pediatric therapists are highly educated, compassionate, and dedicated to helping your child succeed. 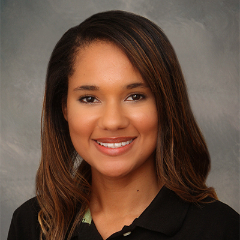 Shayla is an occupational therapist at our Gastonia clinic who earned her Masters in Occupational Therapy from the University of North Carolina in Charlotte. 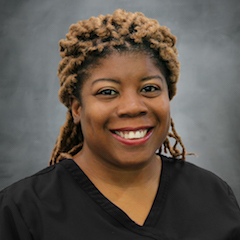 In addition to her degree, Shayla also specializes in therapeutic listening and stroke rehabilitation, and hopes to soon add Beckman Oral Motor techniques to her OT tool belt. 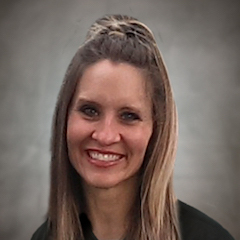 Before joining Compleat KiDZ, she worked in short term rehab with adults, working with patients who experienced strokes, joint replacements, and generalized deconditioning; she also has experience as a travel therapist, staffing various skilled nursing facilities across the East Coast. For Shayla, the most rewarding part of being a pediatric occupational therapist is establishing a positive rapport between a child and caregiver, so that both child and caregiver are empowered to continue meeting goals and improving even after therapy ends. Training: Master of Occupational Therapy, University of Pittsburgh; Bachelor of Science, UNC Charlotte. Georgina earned her Masters in Communication Sciences and Disorders from East Carolina University. 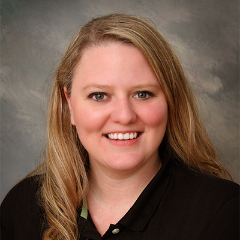 As a Speech Language Pathologist at our Gastonia clinic, she enjoys working with children, using a child-centered approach in order to help them achieve their speech and language goals. For Georgina, the most rewarding part of being an SLP is empowering children to express their wants and needs through the use of play and exploration. In her free time, she enjoys yoga, Crossfit, hiking, cooking and enjoying time with friends and family. Training: BS in Psychology and Neuroscience, Queens College – City University of New York; MS in Communication Sciences and Disorders, East Carolina University. Linda graduated from University at Buffalo State with a Bachelor’s Degree in Speech Language Pathology as well as from Keuka College with a Bachelor’s Degree in Occupational Therapy. Linda is an Occupational Therapist certified with the National Board for Certification in Occupational Therapy (NBCOT) and is also certified in Therapeutic Listening. Linda has experience in working with families and children with diverse diagnoses including ADHD/ADD, autism, genetic and developmental disabilities, dysgraphia and hand writing delays, as well as sensory integration related issues, breast feeding/latching issues, toe walking, torticollis, cerebral palsy and other neurological & orthopedic disorders. 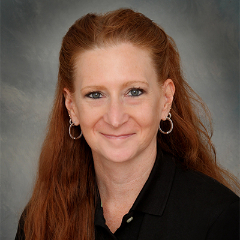 Linda values her patients and families and works to establish a great relationship with each family she works with. Linda enjoys helping each family and child achieve their targeted goals and reach their best functional potential. Nina is a speech-language pathologist, certified by the American Speech-Language Hearing Association (ASHA) and licensed in North Carolina. She has nearly 10 years of experience within several large healthcare systems and is thrilled to now join the Compleat KiDZ team in Apex! 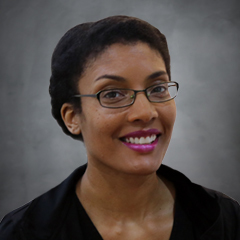 Nina is dedicated to evidence-based practice and continuing her training to best meet the needs of her clients. She has received ASHA’s award for continuing education, focusing on articulation, phonology, early language development, literacy, social skills, cognition, feeding techniques, total communication, and auditory verbal therapy. 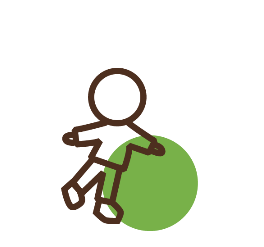 Nina incorporates functional goals and utilizes a variety of treatment approaches specific for each child and family. 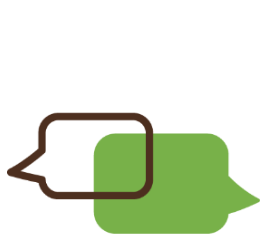 Languages: English, American Sign Language. Melissa earned her Doctorate of Physical Therapy from the University of Medicine and Dentistry of NJ. 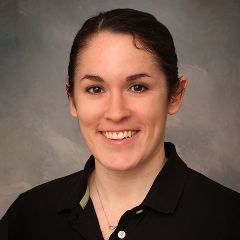 In addition to her doctoral degree, she is also certified in integrative dry needling. 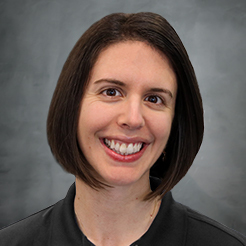 As a pediatric physical therapist, Melissa provides treatment for children with gross motor developmental delays, autism, down syndrome, cerebral palsy, torticollis, toe walking, and other various orthopedic diagnoses. When treating children, she incorporates play as well as hands-on facilitation techniques in order to achieve optimal benefit and outcomes. 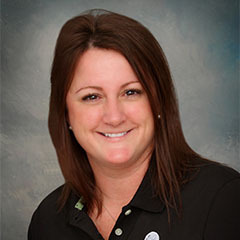 Melissa prides herself on providing individualized treatment to every child she treats, and her goal for each patient is for them to regain function to the best of their abilities so that they can participate and fully function in daily activities. The most rewarding part of what she does is seeing a child get excited about meeting a milestone or goal in treatment. When she’s not treating, Melissa enjoys spending time with family, walking at the beach or hiking, and watching sports like football, hockey, golf, and soccer. Chris is a Bilingual (Spanish and English) Speech Language Pathologist who moved to the Charlotte area from Texas to be closer to her husband’s family. As a special needs mom herself, she hopes to reduce the frustration and isolation that many special needs parents experience, and to open their world to new possibilities for them and their children. Chris earned her BS in Communication Sciences and Disorders from UT Austin, and her Masters in Speech Language Pathology from Texas Womans University. She is additionally certified in VitalStim, Beckman protocol, TalkTools hierarchies, PECS, Mealtime Partners, and Division of Responsibility (DOR). As an SLP, Chris loves helping Spanish- and English-speaking children learn to eat and/or communicate to the best of their abilities. The kiddos she works with include those with difficulty transitioning from liquids to solid food, avoidant restrictive food disorder, oral motor delays, medically fragile children including trach/vent and feeding tubes, language delay, autism, Down Syndrome, and augmentative and alternative communication. Her goal with every kiddo is to reduce the stress on both the child and the family by improving their overall ability to interact in whatever ways work best for them. Alex earned her Bachelors in Sociology from the University of Georgia and her Doctorate of Physical Therapy from the University of St. Augustine for Health Sciences. 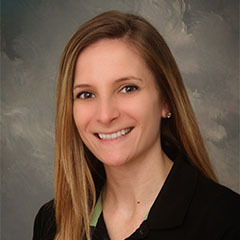 As a pediatric physical therapist, she works primarily with kiddos with genetic disorders, neurological disorders, orthopedic issues, and developmental delay. Regardless of diagnosis, her goal with every kiddo is to optimize function and mobility, and to improve the quality of life for kiddos in the area. She loves having the opportunity to build relationships with the children and families who come to Compleat KiDZ; helping them achieve their goals is the most rewarding part of working here. Meredith earned her BS in Biology and her Doctorate in Physical Therapy from Wingate University. 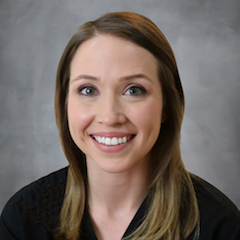 As a pediatric physical therapist, Meredith works with children who have diagnoses including: developmental delay, toe walking, torticollis, cerebral palsy, and other neurologic and orthopedic conditions. She is also trained in pediatric kinesiotaping. For every kiddo she works with, her goal is to improve movement, alignment, balance, and overall gross motor skills – all while having fun! In her free time, Meredith enjoys running, being outdoors, and spending time with family and friends. She is also on the fundraising board for Ambucs Amtryke’s Queen City Chapter, which is an organization that helps to provide modified bikes for children with disabilities in Charlotte and surrounding areas. Donna earned her Masters in Occupational Therapy from Columbia University. She has been a Pediatric Occupational Therapist for 24 years working with children of all ages who have a diagnosis of cerebral palsy, torticollis, down’s syndrome, autism spectrum disorder, sensory processing disorder, learning disabilities, and developmental delays. Donna is NDT certified and she has training in Sensory Integration, Therapeutic Listening, Feeding, and Handwriting Without Tears. She has a passion for working with children and helping them reach their highest potential and maximum level of functional independence. 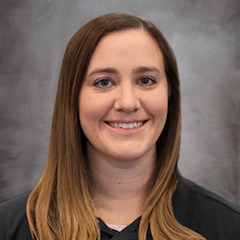 Becky earned her Bachelor of Social Work from Dana College in Blair Nebraska and her Masters of Occupational Therapy from College of Saint Mary in Omaha, Nebraska. She has experience working with individuals of all ages with a variety of diagnoses, but is passionate about working with children with sensory processing disorder, especially sensory motor based disorders, visual perceptual deficits,and impaired fine motor skills. Her favorite thing about being an occupational therapist is watching a child transform. She enjoys learning about new treatment techniques to provide the children she treats with the most updated interventions. Place is filled with the most professional staff, a very loving and warm environment. You will not regret placing your child in the care of these wonderful people! I love them all! I absolutely LOVE those women! They are so heart-felt and amazing! Our lil man loves them so much and they do such an awesome job with him. He always leaves in a joyful mood. I would recommend this place to anyone needing pediatric therapy. The best therapy team our lil man has ever had! -One Happy Momma of a Special Needs Child! So far this has been the best physical therapy and occupational therapy center for kids that I have ever been to. They explain everything to you and make sure that you always have your appointments at the same time and day! The therapists are wonderful. My 1 year old has warned up to them very quickly. The entire staff is so caring and really work with my son to get him talking better I’m already seeing an improvement in his speech and some improvements in his attitude as well and we’ve only been going for 2 weeks. Just from the first appointment we absolutely love it there. I look forward to all future appointments. The ladies are so nice and patient…..update 6/15/18. The progress my daughter has made so far is phenomenal! I love the therapist here super nice and patient with the tougher kids. I highly recommend this place. My daughter loves coming every visit I think she gets more excited every time we come!! Would recommend to anyone. Compleat Kidz is absolutely amazing. Not only have they helped my son but he had lots of fun along the way! I highly recommend. I love Compleat KiDZ they are friendly, they listen to your concerns. Its a place where i can bring my baby for its therapy. Thank you for all y’all do. Been coming here for over 4 years with both of my boys. Staff is very caring and helpful. Love, love, love this place! My beautiful daughter comes here for therapy and they have done wonders! When she first came here she couldn’t walk and now she is running! Thank you. How old does my child have to be to receive therapy? We treat kids 0-18 in our outpatient therapy clinics. Feel free to contact us if you are unsure whether your child can receive therapy from us. As a provider for NC’s ITP program, we also provide home health therapy services for children 0-3 years of age. Learn more on the NC Department of Health and Human Services ITP site. Do I need a doctor’s referral from my child’s physician? No, you can get evaluations and treatments at our clinics without a physician prescription / referral. However, many insurance plans require a referral before offering coverage for our services. Whether or not you are referred to us, we will work closely with your child’s physician, teachers, and other caretakers to ensure the best treatment for your child. Is therapy covered by my child’s insurance? Most treatment is covered by most major insurance companies. However, Phonological and Articulation Disorders, with the exception of congenital conditions, are often not covered under private payer insurance plans. Contact your insurance provider to see if treatment for these conditions is covered. See the Insurance/Payment section for more information about payment options and what insurance providers we accept. We recommend you arrive about 10 minutes before your scheduled appointment time. We will go over necessary paperwork with you and conduct an evaluation. The initial evaluation will last about an hour, after which our front desk will work with you to set future appointment times. If your child has an IEP, please bring it to the first appointment. How can I make co-payments? Bring cash, check, or credit card to make your co-payments at the beginning of your appointments. Co-payments must be made prior to services rendered. We are able to accept one payment for multiple visits if it is more convenient for you, as long as payment is made before the scheduled appointments. What is your Cancellation / Missed Visit policy? If you must miss an appointment, call our Front Desk to reschedule your appointment. You must call 24 hours before your scheduled appointment time. Failing to call at least 24 hours in advance will result in a $25 no show fee. What if my child is sick before a scheduled visit? If your child is sick, please call our front desk to reschedule your appointment. Do you ever close for severe weather? Severe weather conditions may cause our clinics to operate on delayed opening / early closing schedules or to fully close for the day. Delayed openings or closure due to weather will be posted on our website no later than 7:30 am each business day. If the clinic closes early, our front desk team will contact patients whose same-day appointments are impacted by the clinic closure. I’m a referring entity; how can I refer to Compleat KiDZ? You can contact our referral coordinator Tasha Rodriguez by email: tasha.rodriguez@compleatkidz.com phone: 1.888.257.0277 fax: 1.888.244.5493 You can also use the contact form above. We’re happy to answer any questions you may have regarding referrals, insurance, services, etc. Compleat KiDZ accepts most major insurances. Check the box to the right to see if your insurance provider is accepted by Compleat KiDZ. Compleat KiDZ understands that the cost of health care can put a strain on our families’ finances. We are willing to work with you to set up a payment plan that works within your budget. Compleat KiDZ offers healthcare financing plans through Care Credit and United Medical Credit.